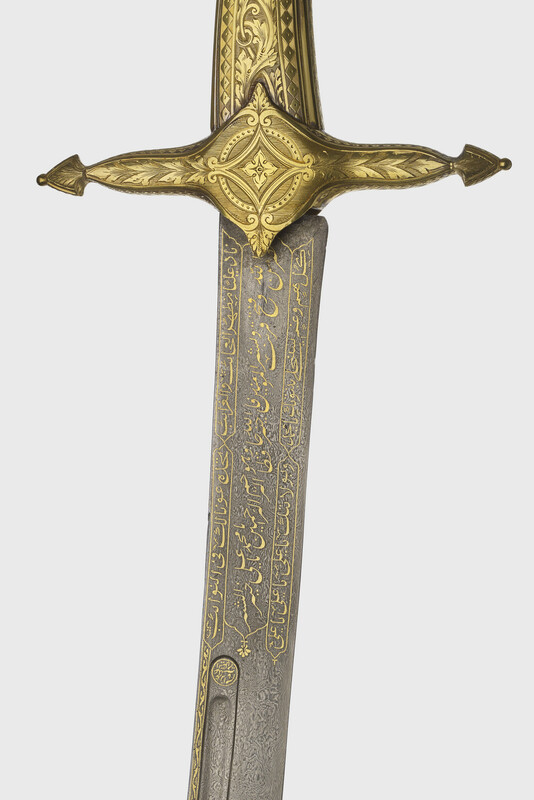 A sword or shamsher with a fine watered crucible steel blade inlaid with devotional Persian inscriptions and a shallow groove on each side. 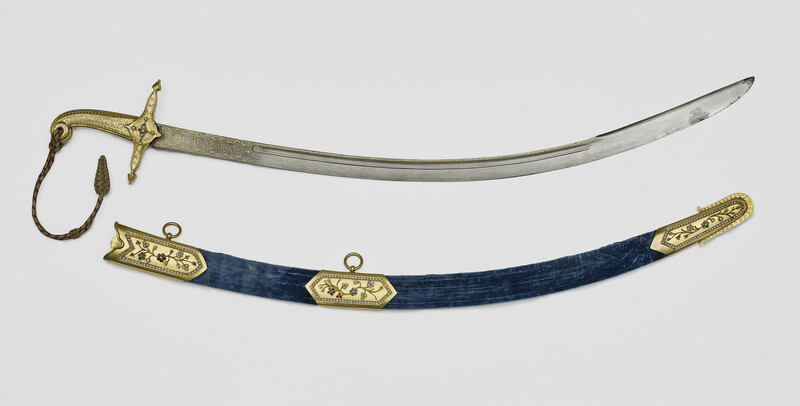 The hilt engraved with foliate patterning and a border of lozenges and inset with diamonds, rubies and pearls with a silk tassel attached to the pommel. Blue velvet covered wooden scabbard with gold mounts engraved and inset with diamonds, rubies, emeralds and pearls arranged to resemble flowers and vines. Presented to King Edward VII, when Prince of Wales, during his tour of India in 1875-76 by Ali Murad Khan I Talpur, Amir of Khairpur. 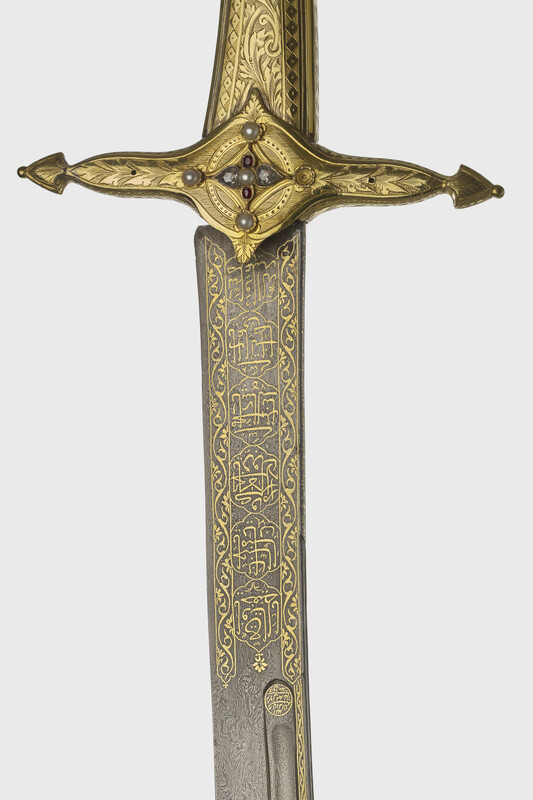 The blade of this sword suggests that it was probably made in Iran. The rulers of Khairpur greatly admired Iranian swords and sent agents across Iran and Central Asia to procure them on their behalf. 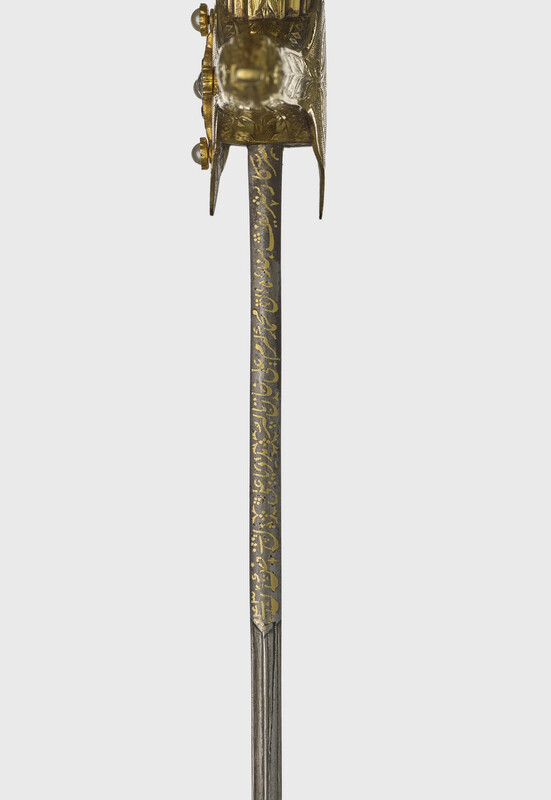 The decoration of the sword hilt and mounts are European in style and were probably made by a European metalworker working in the Indian subcontinent in the late nineteenth century.